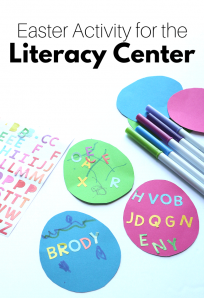 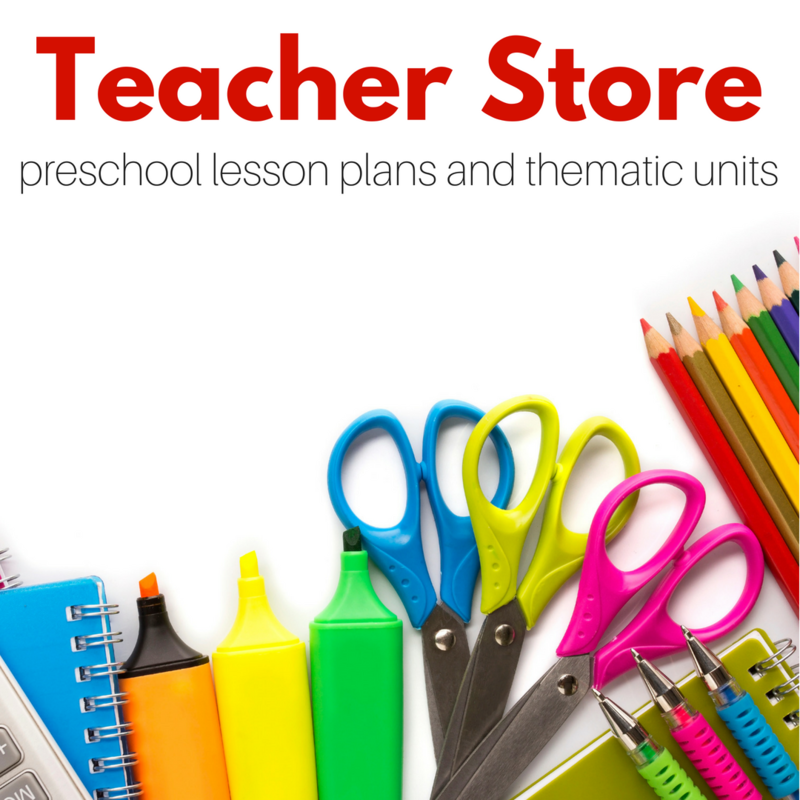 As a teacher in a Christian school, we love celebrating Easter, and I wanted to gather some fun preschool Easter activities that you can use if you celebrate Easter in your classroom or at home. 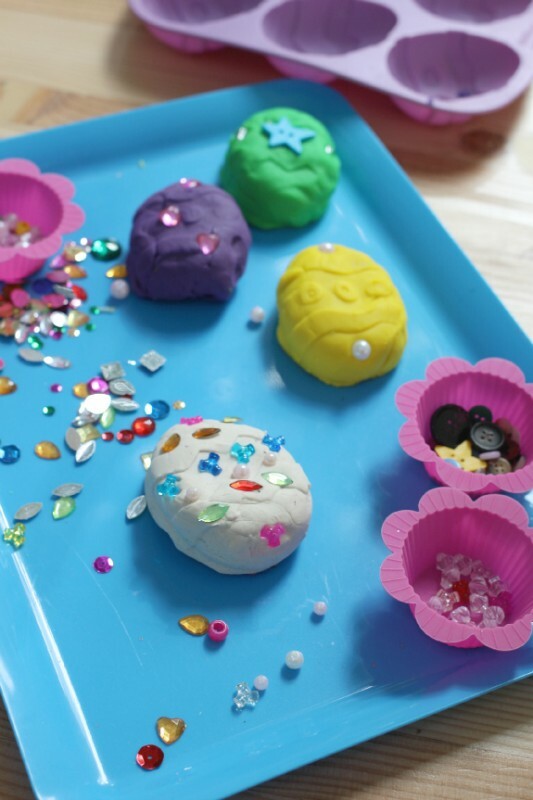 Sometimes I take the value of sensory activities for granted, but if you are new to teaching you may not know all the wonderful skills children are building as they squish, feel, touch, smell, and yes even taste with these activities. 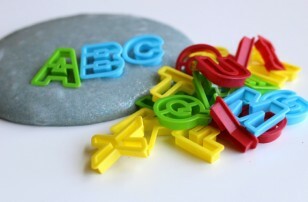 Simply put, sensory play is vital for good brain development. 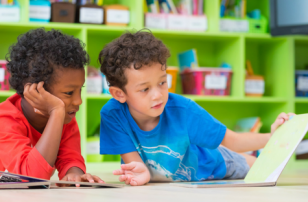 As our students are taking in the information about touch, or smell, for example, they are pushing their brains to use and integrate that information. 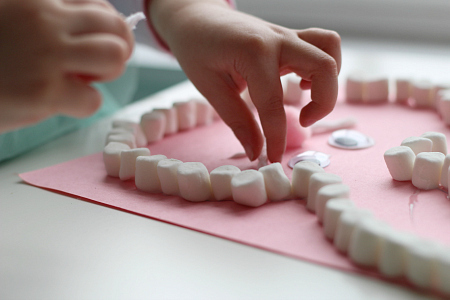 All senses are used to make sense of the world around us, but as our brains develop and become more sophisticated, we forget about the importance of this sensory input because we have already developed these pathways. 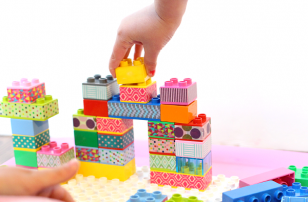 Our students are still developing – we need to offer them opportunities to support that development and explore while they do. 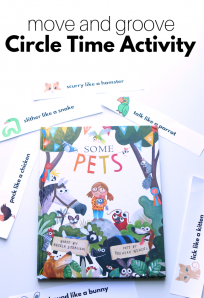 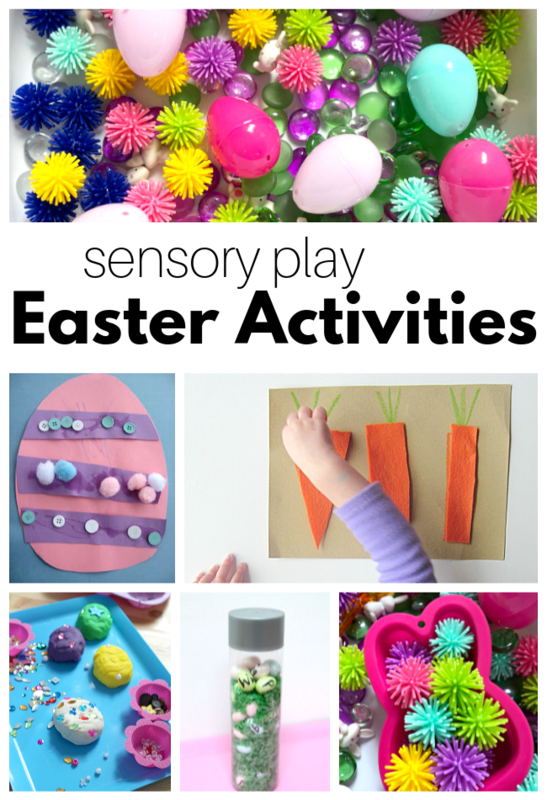 Using holidays or other novel themes make simple sensory activities more enticing for our students, and I hope you find these preschool Easter activities that support sensory play helpful for your class. 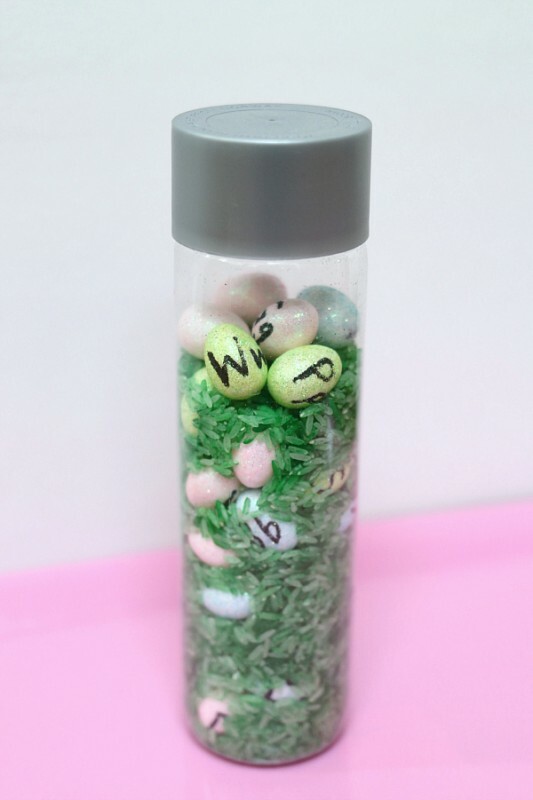 Twist, turn and use your sense of sight for this Easter Egg Letter Hunt Discovery Bottle. 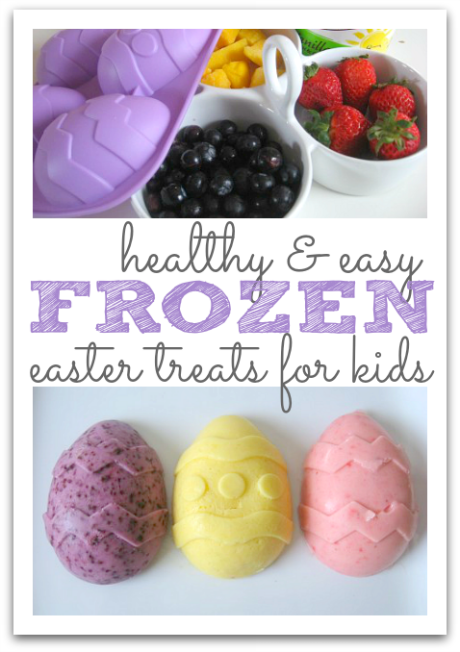 Marshmallow Easter Bunny – fantastic for touch and taste. 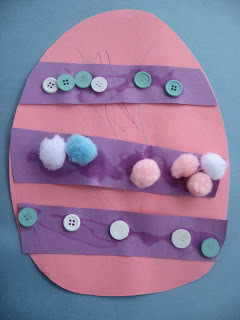 Texture Easter Eggs – explore how the materials feel so different. 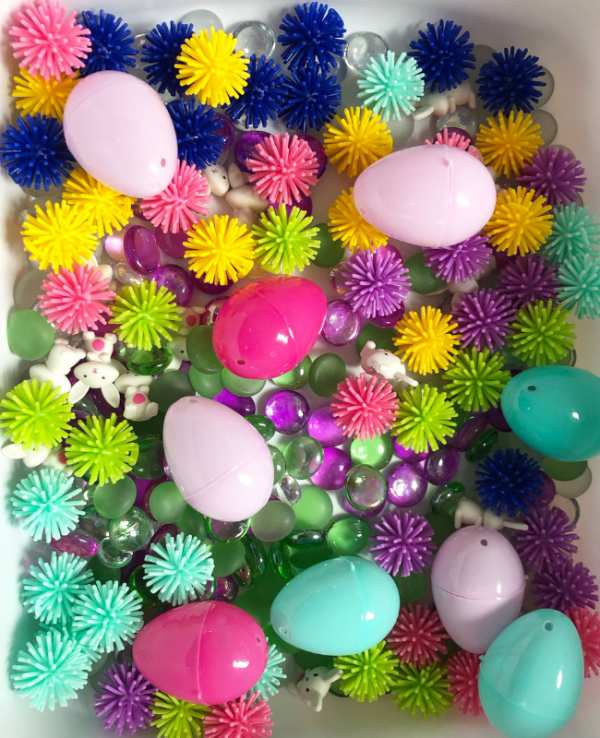 This Easter Sensory Bin uses no food fillers but is still filled with all kinds of textures, colors, and shapes. 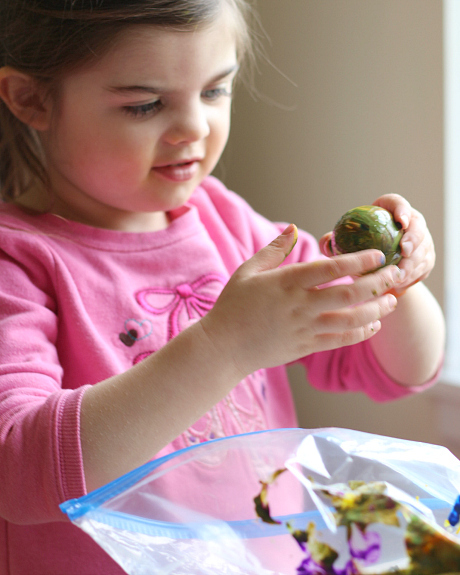 Paint in a Bag Easter Eggs – these are squishy and squashy and not nearly as messy as the traditional route. 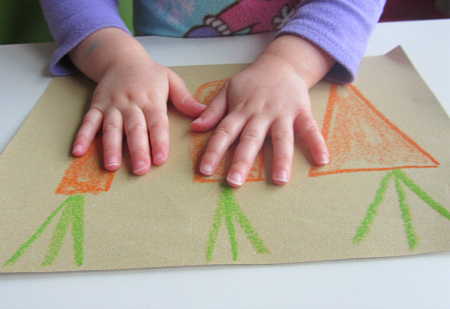 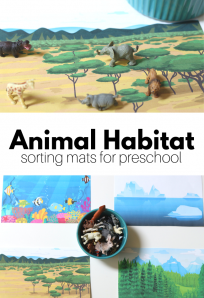 Sandpaper and Felt Carrot Puzzles – Feel the different textures and see the different shapes. 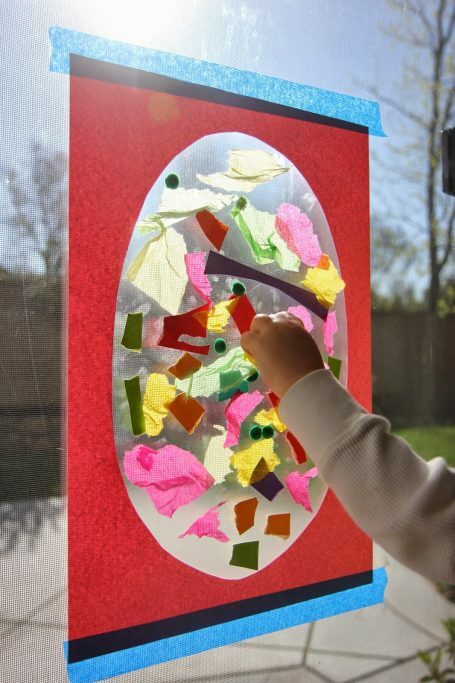 And I just love this Easter Egg Sticky Wall from Toddler Approved! 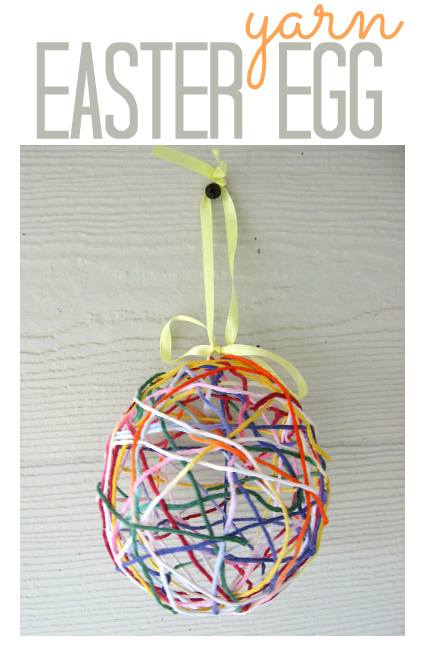 This Yarn Easter Egg wasn’t planned as a sensory activity, but over the years as I have recreated this with more and more children, I watch them dip the yarn in the glue, place it on the balloon carefully… it’s very much a sensory experience.